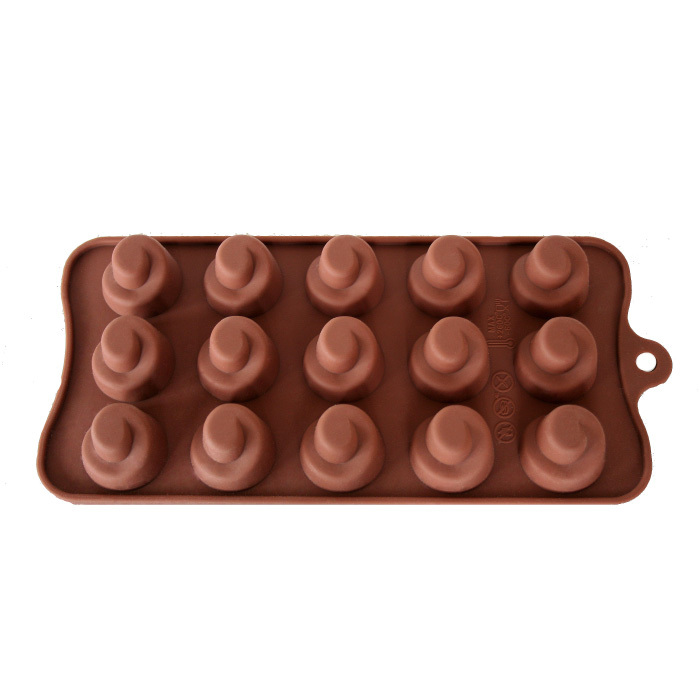 Make your own raw chilli chocolate with this Raw Chilli Chocolate Making Starter Kit. Elements of life have selected the finest Peruvian criollo raw cacao, paired with low GI, diabetic friendly Sweet Freedom, a natural sweetener made from apples, grapes and carob, topped off with fiery hot Habanero chilli grown by The Wiltshire Chilli Farm. 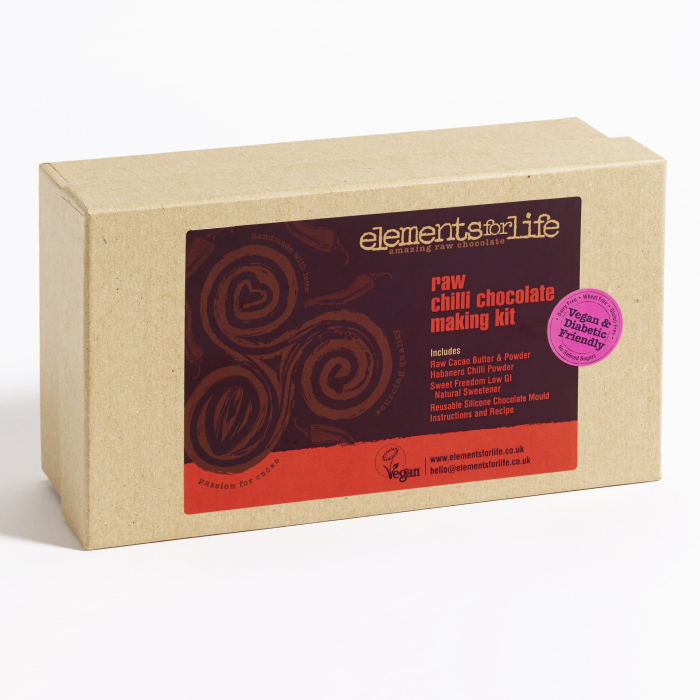 Perfect for all ages, the Elements for Life Raw Chilli Chocolate Kit makes a great gift for any chilli head. 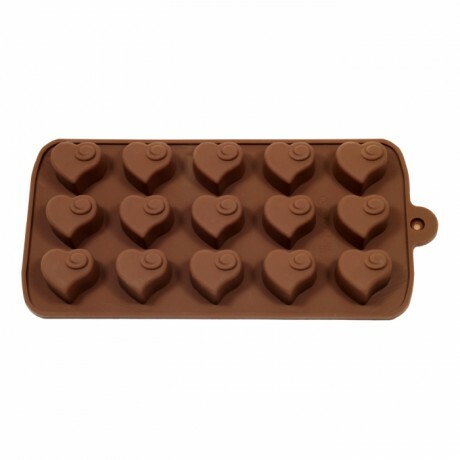 Every kit contains enough ingredients to make two trays of raw chocolates, that's 30 individual raw chocolates in total, weighing around 250-300g, depending on your taste. Plus a reusable silicone chocolate mould to continue your raw chocolate adventure! Full instructions are included and you'll be amazed at just how easy it is to make your own raw chocolates; packed full of nutrients and without anything artificial. 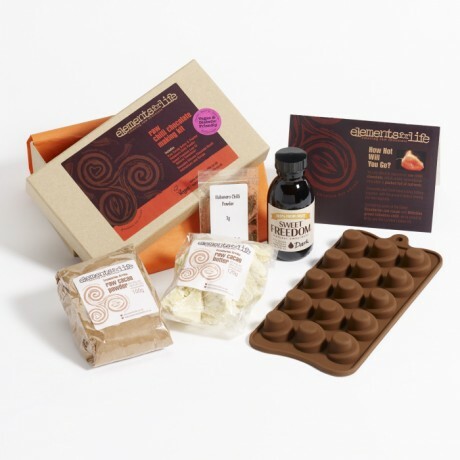 The Raw Chocolate Making Kit is handmade with love in Elements of Life's Wiltshire chocolate factory, affectionately know as Woolley Wonkaland! Presented in high-quality packaging throughout, where possible recycled and degradable packaging is used, such as degradable cellophane bags made from wood pulp, recycled tissue paper and green printing with vegetable based inks.